Could you please settle an argument for me? 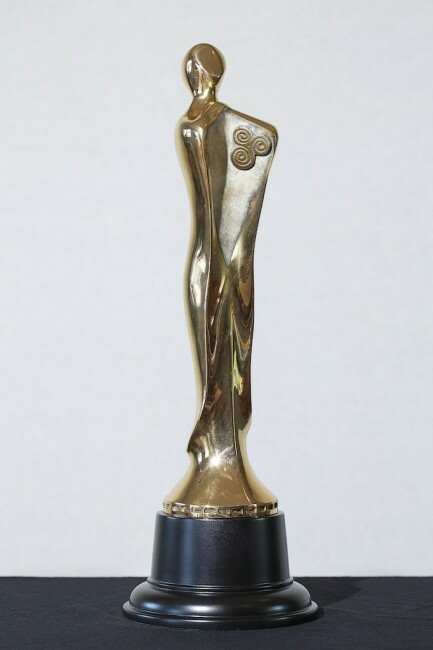 The design on the IFTA award, is it inspired by the Stone Age new grange entrance stone or the Iron Age triskele from the turoe stone, or perhaps even neither of these. Thank you. It’s a beautiful design and is elegant and beautifully designed. Well done.